Car clubs have been a smart way for developer's to provide sustainable transport solutions and satisfy planning obligations on new development. Understandably, they have proven popular in areas with higher urban density and a reduced need for household dependency on the car. Developers are now facing daunting and difficult decisions around investing in EV infrastructure for their new developments. Car clubs, such as those run by Enterprise, are offering developers the ability to provide an EV solution without having to gamble on the technology. It also creates a more sustainable EV solution on those developments where households only require occasional car use. No surprise then how we're seeing that the uptake in car clubs is growing and more developers are looking at how they can incorporate them in meeting section 106 requirements. Gloucestershire County Council has estimated savings of two tonnes of CO2 a month with Enterprise Car Club, compared to employees commuting in privately-owned cars. 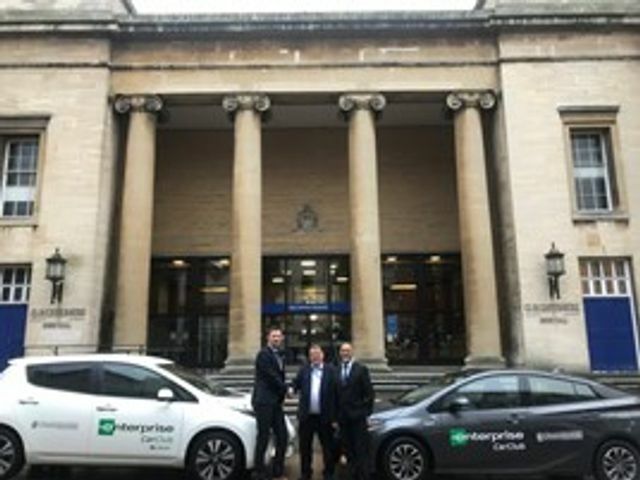 Eight dedicated Enterprise Car Club vehicles are now based at the council’s Shire Hall headquarters in Gloucester and more than 450 of the council’s 2,000 employees have signed up to the programme. The vehicles include two Nissan Leaf electric cars, three Toyota Prius hybrids and three Hyundai i20s.